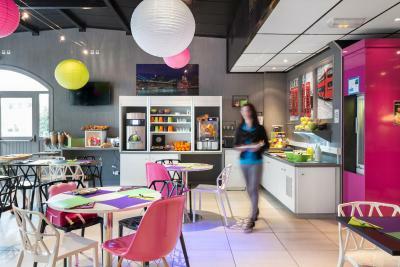 Lock in a great price for ibis Styles Blois Centre Gare – rated 8.4 by recent guests! 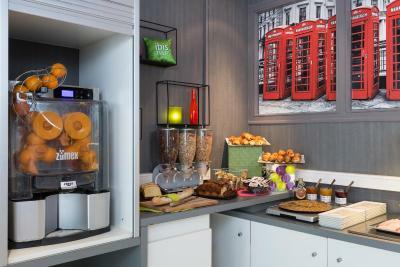 Great breakfast buffet, good location, comfortable room, excellent value. AC good. 15 minute walk to town. Plenty of undergoing secure parking (pay). Supermarket next door. Staff very nice and friendly, Very helpful The place was very clean. 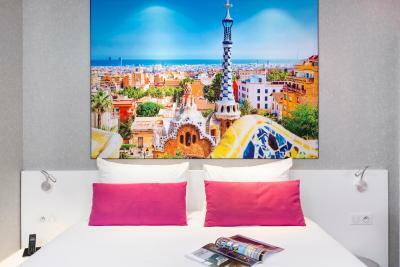 Excellent position for the train station, wonderful bed and very good breakfast. Would happily return. Amenities are great and the staff are very friendly! Breakfast good, thank you. Maybe include a coffee machine in the room? Great stay and even a small gym which I loved! 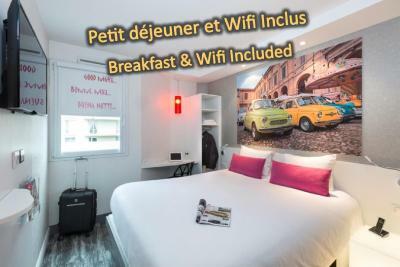 Located a 15-minute walk from the center of Blois, this hotel is 950 feet from the Train Station. 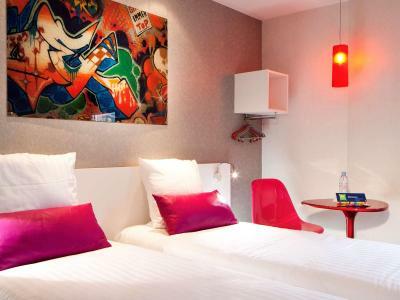 It has a garden and modern guest rooms equipped with an LCD TV and free Wi-Fi. Each soundproof guest room has a radio and a telephone. The private bathrooms are fitted with a hairdryer. 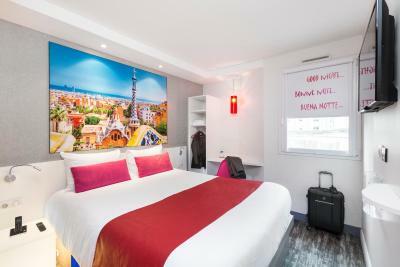 All rooms at this ibis hotel are accessible by an elevator. 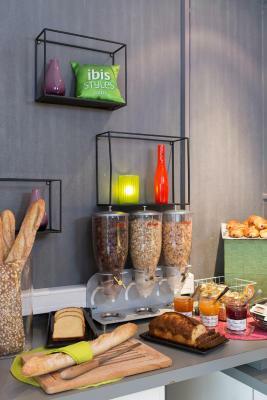 A buffet breakfast is served every morning at the ibis Styles Blois Centre Gare. Guests can enjoy a drink in the hotel bar. The Blois Royal Castle is a 9-minute walk from the hotel. 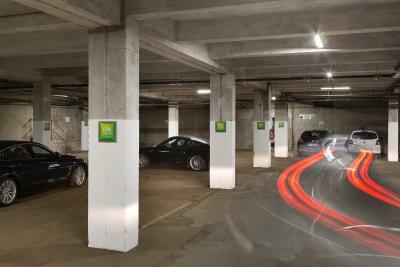 Private parking is available on site and charges apply. The hotel is accessible via the A10 highway. 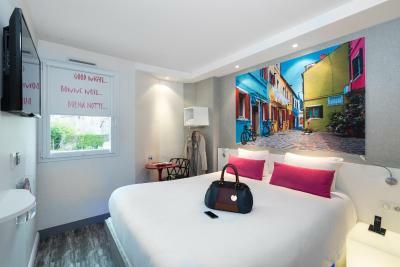 When would you like to stay at ibis Styles Blois Centre Gare? 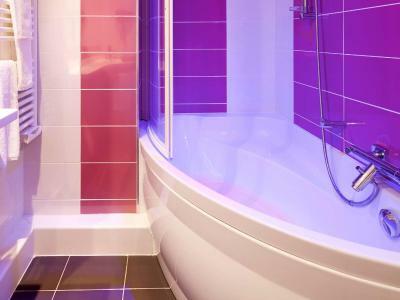 This air-conditioned room has a flat-screen TV and a private bathroom with a hairdryer. House Rules ibis Styles Blois Centre Gare takes special requests – add in the next step! 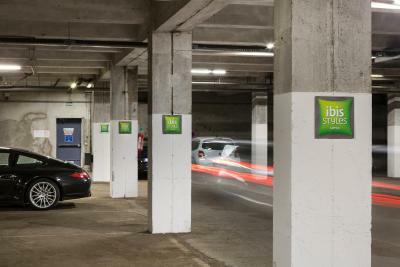 ibis Styles Blois Centre Gare accepts these cards and reserves the right to temporarily hold an amount prior to arrival. Please contact the hotel after booking if you require a children's cot. This facility is upon request and subject to availability. Clean room friendly welcome. 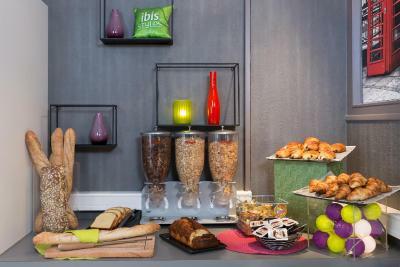 Quiet environment with healthy breakfast buffet. 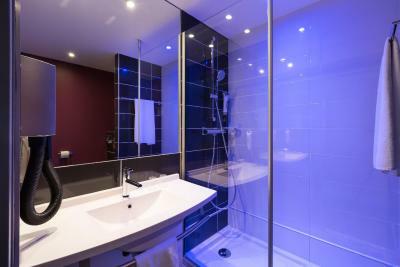 The room was small with no privacy between the bed area and the shower/wash basin area. Very little room for two travellers cases. Good breakfast nice and helpful staff. Location was good. 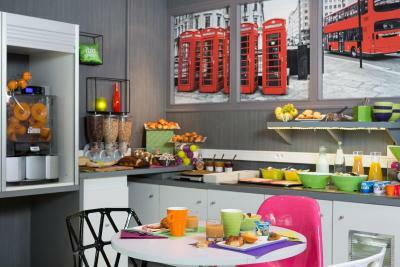 Great value, excellent breakfast, spotlessly clean room with good facilities. Room small but perfectly adequate. Thought it was a bit far from city center when you’re out late. Would have liked a sliding door or screen between the two bedrooms for a little more privacy. Otherwise no complaints. Friendly and efficient welcome despite our arrival at 1am. We had a family suite with adjoining rooms. Bunk beds for kids. Pet friendly (nominal extra charge for our dog). Breakfast was excellent, a generous buffet with plenty of choice, good coffee, freshly squeezed orange juice. We thought it was excellent value for money. Very good place for families, with a play area, small kitchen available to heat up baby food and a supermarket just next to it. I really recommend it.